The BrodTeNS is the world's most technically advanced health bracelet for pain relief, sports performance and healing. It provides a revolutionary source of stabilising microcurrent energy to the body's circulatory system without the use of batteries or mains power. 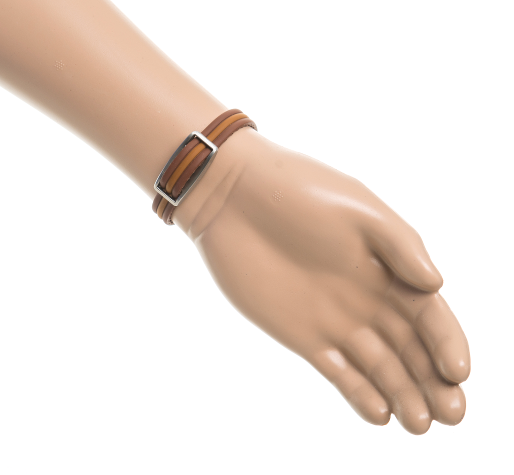 Silicone strap fits wrists up to 235mm and is trimmed to fit by you. 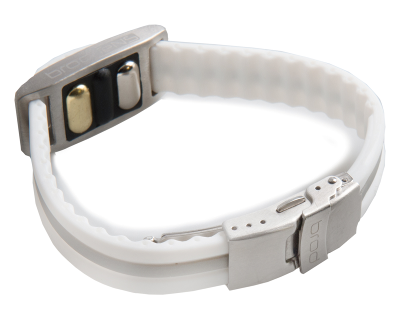 The soft, durable silicone strap is fitted with a brushed stainless steel fold over deployment clasp with safety catch. BrodTeNS module is fitted with an electrode plate and supplied with a spare. We want you to experience a positive result wearing a BrodTeNS. Please be patient and wear the bracelet for the full 60 days guarantee period as each individual responds at a different rate. In the rare event that you are not satisfied with the benefits of your BrodTeNS bracelet, you may return it to BrodPod Ltd 60 to 70 days from the date of purchase. NB: 20% of the product purchase price excluding P&P will be deducted from each BrodTeNS returned. 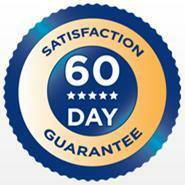 * 60 day satisfaction & performance guarantee only applies to BrodTeNS microcurrent bracelets and excludes all other products. 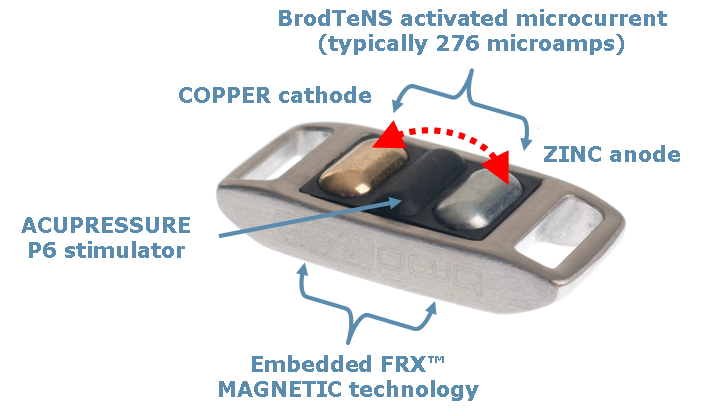 The BrodTeNS patented technology uses a copper cathode and a zinc anode within a specific magnetic field to create a galvanic microcurrent typically 276 microamps. This is achieved by utilising the plasma electrolytes released through the skin. The bracelet sends a small amount of electrical current to the blood cells which stimulates repair and healing. TeNS (transcutaneous electrical nerve stimulation) has been used successfully to block pain for over 50 years. Recent studies show microcurrents operating at a lower frequency do more than just block pain. Measured in millionths of an amp microcurrents can turn off pain, operate vital organs, move muscles and aid healing. Microcurrent therapy as used in BrodTeNS is now recognised and used extensively by pain clinics, professional therapists and sports trainers. They are more bio-compatible than currents produced by any other electrical stimulation device. Microcurrents work at a cellular level and are in the same range as the body's natural current. At this level they are sub-sensory and do not provide any of the discomfort or tingling often associated with standard TeNS machines and devices. Unlike other currents, microcurrents are capable of penetrating the cell walls to stimulate healing, reduce the feeling of pain, helping to maintain the correct pH balance by stabilising ions in the blood, and increase the oxygen content of the blood. Microcurrents increase cellular energy. ATP (Adenosine Triphosphate) is often referred to by biologists as the 'currency of life' as every cell in our body is dependent on ATP for the transfer and storage of energy. Studies have shown that microcurrents can increase the production of ATP three to five fold, whereas currents above 5 milliamps can reduce the production. Standard TeNS machines deliver pulsed electrical currents into the body which are believed to promote the production of pain blocking endorphins, but many users find the currents uncomfortable and the equipment impractical. The higher level of current delivered by these machines (often above 5 milliamps) can help mask the pain, but does not operate at a cellular level to assist healing. For more technical information on the benefits of microcurrents please read the article in our blog here. 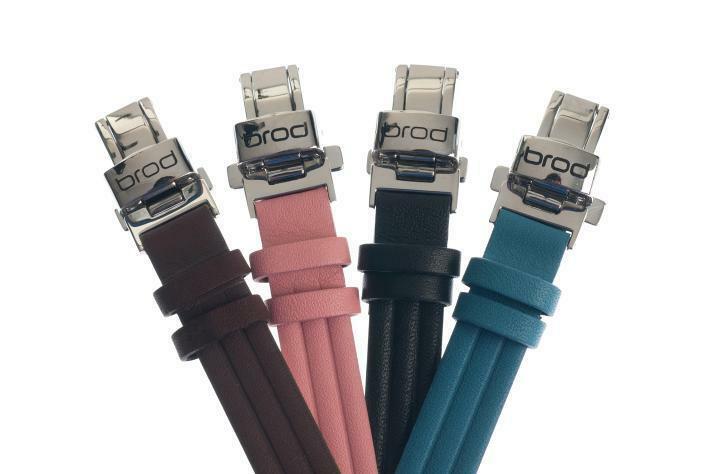 The BrodTeNS was developed by Nigel Broderick, inventor of the world’s most successful magnetic bracelet. Nigel's first design led to the Arthritis Research Campaign charity commissioning an independent clinical trial to test his product under an approved medical protocol. Analysis of the results showed that the patients wearing the bracelet he designed reported a greater reduction in their level of pain compared to other magnetic bracelets or placebos. 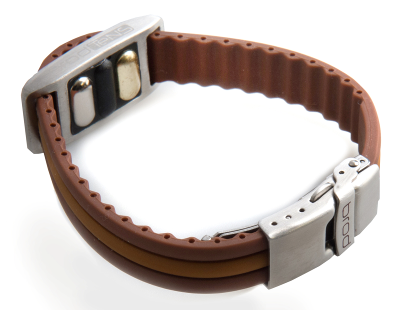 A full peer reviewed report was published in the British Medical Journal, in which it stated that "Whatever the mechanism, the benefit from the magnetic bracelets (Nigel's design) seems clinically useful" and continued to mention that the cost of the bracelet was a fraction of that spent on newer non-steroidal anti-inflammatories (NSAIDS pain relief drugs). The clinical trial represented a benchmark in magnet therapy and as understanding continues to grow so has the number of trials, leading Nyjon K. Eccles, M.R.C.P., Ph.D., to state as the conclusion to his A Critical Review of Randomized Controlled Trials of Static Magnets for Pain Relief that "The weight of evidence from published, well-conducted controlled trials suggests that static magnetic fields are able to induce analgesia." The BrodTeNS uses a copper pad as part of its microcurrent generation and this also provides a supply of TDM copper to the body. Copper is one of a relatively small group of metallic elements which are essential to human health and has been used as a medicine for thousands of years. It has also been used to assist healing through its anti-bacterial properties and for the purification of drinking water. More recently, research has indicated that copper helps prevent inflammation in arthritis and similar diseases. Research is ongoing into anti-ulcer and anti-inflammatory medicines containing copper, its use in radiology and for treating convulsions and epilepsy. Copper combines with certain proteins to produce enzymes that act as catalysts to help a number of body functions. Some help to provide the energy required for biochemical reactions including acting as a catalyst for the production of haemoglobin, the oxygen carrying blood component. Acupressure P6 stimulator has been found to be effective in combating nausea caused by travel (motion sickness), pregnancy (morning sickness), chemotherapy and post operative anaesthesia. Please be patient and prepared to wear your product for the full 60 days to give it time to help. Make a note of your current energy levels, how you sleep and of any pain or stiffness you have. Can anyone wear a BrodTeNS? No, a BrodTeNS must not be used by anyone fitted with a heart pacemaker or other electrical implant or those who have epilepsy. If you have any concerns you should consult your doctor or physician before wearing a BrodTeNS. Will it work for me? The BrodTeNS combines four different complementary therapies in one device which is proving highly effective in a wide range of medical conditions. Some people experience immediate benefits, while others sense subtle changes over a period of days, weeks and months. It is rare that no benefit at all is felt. Drinking plenty of fresh water to help flush any toxins released is beneficial. Is it safe to use with other medications? Yes, but if your drugs are prescribed by your doctor do not reduce or stop taking your medication without his/her approval. How long should I wear the BrodTeNS? As the BrodTeNS provides a safe DC microcurrent there is no restriction on the length of time the product can be worn. Initially for maximum effect try to wear your BrodTeNS 24/7, we suggest that as a minimum it is worn during the day time when the body is at peak activity. Can I wear it water - the shower, bath or go swimming in it? No, BrodTeNS should not be immersed or worn in water as it will affect the performance of the product. Can I wear it next to a Watch or Fitness Tracker? No, the high power magnetic field may interfere with them so wear it on the opposite wrist. What about allergies? Every care has been taken in the manufacture of BrodTeNS to isolate allergic reactions. The BrodTeNS module is made from medical grade stainless steel (as used in implant devices). The electrode carrier is polypropylene and the electrodes are pure copper and zinc, each known for their non-allergenic properties. 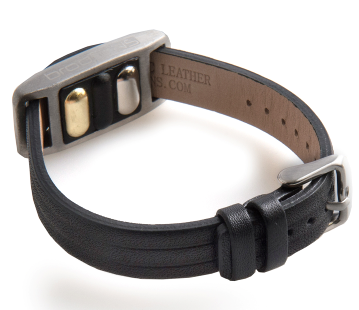 The straps are silicone (which is less reactive than rubber) or hypoallergenic leather with stainless steel fittings, Note: Most metal allergies are a result of alloys containing metals that are known to be highly allergenic, such as nickel. There is NO nickel in BrodTeNS. Occasionally we receive reports from a person experiencing a rash under the module. This reaction is not an allergy, but sensitivity to the microcurrent created by changes to the pH balance (acid/alkaline) in your skin. If this happens remove the bracelet immediately. Do not swap wrists. Once the rash has completely cleared, re-introduce it during the day for short periods (i.e 1 or 2 hours) on the top side of the wrist and increase the time worn gradually. Don’t worry if you cannot wear your BrodTeNS 24/7, it is not always necessary. Will I feel any sensations? Some people feel a warming or tingling sensation at first. This is temporary as the BrodTeNS starts to work. It is not harmful and usually settles down after a short time. How can it work without a battery? The BrodTeNS produces an electro-chemical reaction when the copper electrode (cathode) and the zinc electrode (anode) are bridged by the natural moisture in your skin which contains electrolytes. The resulting electrical energy is known as a galvanic (DC) current. What is the electrical output? The output will vary dependant on the individual wearing the product and how much perspiration they produce. The average can be expected to be 500mV although this can rise to approximately 750mV when perspiration levels are high. What about maintenance? It is important to clean the copper and zinc electrodes regularly by wiping them with a damp cloth. Do not spray perfume or use creams etc near your wrist. Are there any serviceable parts? Yes. The electrodes will eventually require replacing due to ion migration, this is normal and part of the current generation process. How long will the electrodes last? The life of the electrodes is dependant on how often the BrodTeNS is worn and how much perspiration your body generates. Some people have a higher ratio of electrolytes than others. For these reasons we cannot state exactly the length of time before a replacement is required, but it is typically 3 to 6 months. How will I know when to replace the electrodes? Your electrodes will change colour over a period of days, weeks & months. The zinc will dull and turn black and the copper will appear more silvery. This is normal and varies with each individual. Eventually the zinc will disappear revealing a dull copper. When both electrodes have turned dull copper, it is time to replace the electrode plate. A picture instruction guide , spare electrode plate and removal tool are supplied with each BrodTeNS. What is the CE mark? CE marking ensures the product complies with the EU medical device regulations. 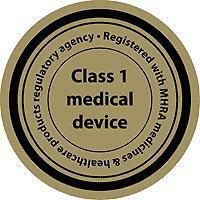 The BrodTeNS is registered with the MHRA (Medicines and Healthcare products Regulatory Agency) as a Class 1 Medical Device. Nola Gray wrote: I damaged tendons and myofascia in my forearms and around my wrists and thumb joints anout 3 years ago after I spent most of the summer pulling and hauling away deep seated weeds in a 3 acre field. I tried wrist supports, physiotherapy, anti inflammatories and waiting for a miracle without any alleviation. The pain at times was constant and at other, it went and suddenly come back like an electric shock if I moved the wrong way. I sent for a BrodTeNS out of desperation without to be honest much hope of a result. I had relief in a few days but initially came out in an itchy red rash just where it touched my skin. I contacted a member of your staff who advised me that it was causing detoxification and to wear it for shorter periods. This reaction continued even if it was on for an hour or two. I was advised by a friend that she had used Milk Thistle successfully as a liver detoxifier with her horse! I got a bottle from the health food shop and since I finished it, have been able to wear the braclet 24/7 with no other effect than that the pain has practically gone. If I turn one hand a certain way I get a quick pain and cannot lean my weight on that wrist to do exercises, but considering I used to be unable to get over to sleep with the pains in my thumbs, and doing simple things like doing up buttons and peeling potatoes was enough to make me wince, I am definitely not complaining! Thank you BrodPod so very much. Mrs T Hewitt wrote: "Many thanks for the prompt dispatch of both my and Chris, my husband's BrodTeNS recently. You will remember that I told you that I had been suffering for years now with both osteoarthritis and fibromyalgia and over that time had either no relief or really bad side-effects from prescribed medication. I had also tried many varied complementary approaches to help these conditions, with limited success. I was therefore eager to try the BrodTeNS, which I learned about via the Fibromyalgia UK website, and have been absolutely delighted with the results - an immediate increase in energy levels and lessening of pain right from day one, and your advice on leaving it off overnight to give my body a temporary rest from the detox headache was spot on - I was definitely "overzapping" myself in my eagerness! Just a little blip, and am now able to wear it all the time again. I am sure that the one I have since received for my husband, as we were so impressed with my results, will also help him with his osteoarthritis pain. T Redman of France wrote: "In 2014 I was suffering severe pain in my knee, so much so that I had to stop twice to rest in a 100m walk to my neighbour. I had, earlier in the year seen a knee surgeon who gave me an injection to relieve the pain. The injection wore off after six months. I made an appointment to see the surgeon with a view to having a knee replacement operation. In the meantime, a friend of mine told me about BrodTeNS. I ordered and received a wrist bracelet and within three weeks I was pain free and able to ride my bike. After five weeks I rang my surgeon’s secretary to cancel my appointment and have had no need to see him since. I recently asked my GP if I could have an X-Ray of my knee to compare with one I had two years previously. He was amazed to see that the new X-Ray showed very little deterioration since the 2014 X-Ray. 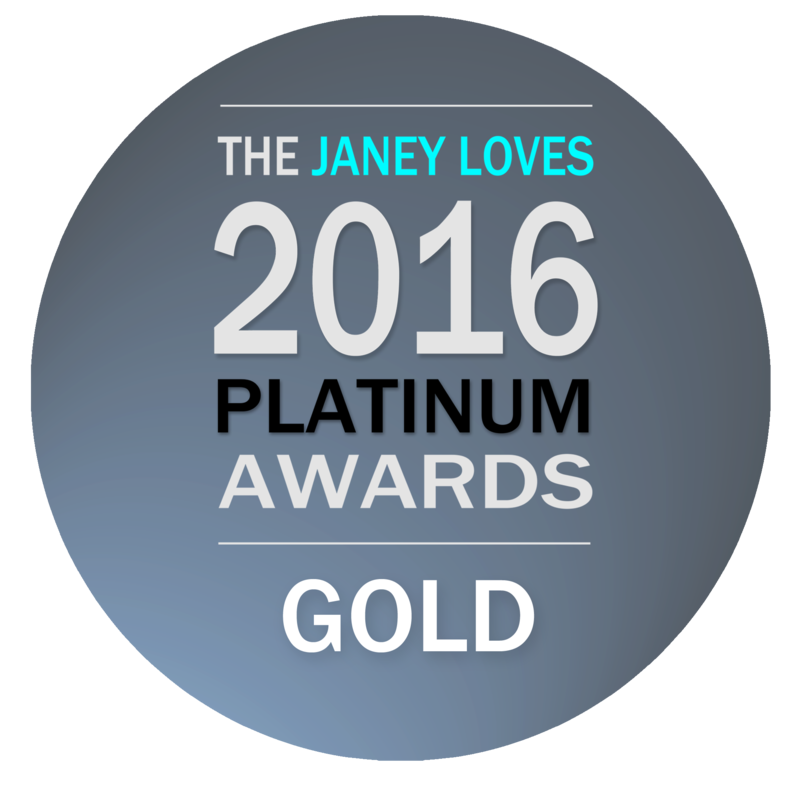 I cannot thank you enough." Mr I Mears wrote: "Having suffered with aching muscles all my life and sceptic arthritis since the age of 13 I had learned to live with chronic pain for most of my life. Until the age of 40 I was able to maintain a good level of mobility by undertaking regular exercise. However, I always experienced a level of pain, and always a chronic ache in my leg muscles. From the age of 40 it has become increasingly difficult to maintain my mobility through exercise alone, and have had to take a number of prescribed anti inflammatory over the last 5 years as my knees continued to deteriorate. Increasingly I have had painful and, on occasions, swollen ankles, and always that ever present ache in my legs. I have walked with a limp since the age of 13 because of the damage to my left knee through the sceptic arthritis. This last 5 years I have suffered with hip pain and now pains on my right knee. This was put down to the damage of compensating for my previously damaged left knee by my continual limping. My getting up and starting after periods of rest were accompanied by increasingly louder sound effects. The only relief I was getting was from regular and severe massage from my wife. Too young (now 50!) for replacement knees or hips my only option was to continue to manage the pain. Being used to doing this for most of my life I just became resigned to continue as before. However, since wearing the BrodTens, the improvement within 2 days has been remarkable. My legs still get a little tired and ache a bit at the end of the day, but the latent pain has almost disappeared. My sleep has improved and for the first time in a long time I can bend both knees to go up and down stairs rather than having to lead with which ever knee was the most painful. In the meantime I am off to continue to learn how to walk without a pronounced limp once again, and think up some reason to continue to receive the regular and severe massaging from my wife!!" Professor Di Lawrence-Watt wrote: "I am sorry I have not been in touch before now, but I wanted to give the BrodTens a good test and also wait to see how Biggles reacted to his magnets. I am pleased to say that the magnetic horse boots have been a great success for Biggles and he is moving a lot more freely on his hind legs than previously. They have helped his arthritis greatly and I would certainly recommend them to other horse owners. As to the BrodTens bracelet – this was a bit more difficult for me to start with because I am very lucky in that I have no joint problems or aches and pains – maybe riding, golf and swimming several times a week have kept me supple. However, last Saturday I sustained a very nasty burn to the ventral surface of my forearm from steam escaping from a chamber used to steam bales of hay. It was very painful and although I applied cold water and a cold wrap to my forearm, it was very red due to the inflammation of the skin. Due to the reported benefit of microcurrent technology to damaged tissue, I wore the BrodTens bracelet over my injured forearm. Within 48 hours the pain of the burn was very much reduced as was the redness. I feel that the wearing of the BrodTens bracelet aided the healing of the burned tissue and significantly accelerated the healing of my skin. Please feel free to use any of my experiences in your advertising of the benefits of the horse magnetic boots or the BrodTens bracelet (for the latter I have tried to keep the wording as for a lay person) so although retired I still keep an interest in science." Mr K Smyth wrote: "I purchased a BrodTeNS Bracelet 2 weeks ago and within 2 days I started to feel the benefit. I suffer from Asthma, Diabetes, Arthritis, Hernia, Photosensitivity, Osteoporosis, Cramping of legs, hands and feet, and I have six 3" bolts in my spine and I have to take 26 tablets per day. From being in constant pain 24/7 I am absolutely delighted at the relief this bracelet has given me plus from not being able to sleep for any length of time each night my sleep pattern has changed completely. I would recommend anyone who is in any degree of pain to try this bracelet, if it can help me it will definitely be of benefit to you. I am so happy with the success of mine that my wife has now purchased one that has just arrived today." Vicky Calder wrote: "I have sent my Brodpod back to you as I felt it did not improve my arthritis, but yesterday I started to suffer lots of pain in my knees, something I have not experienced for a long time. I am wondering now if the Brodpod really did work but the progress was very slow I hardly noticed it until of course I stopped wearing it. Would you be able to send it back to me please, sorry for being a pain (excuse the pun). H. from France wrote: "Early days (2 weeks after purchase) I am pleased with the bracelet - did not take long to settle down. I think I am sleeping better. Will let you know how much help it is to my knee when we start bowling next week. Update one month later - I am very pleased with my BrodTeNS - I am playing bowls without a wrist support and have not yet needed my knee support. We are playing at least 3 times a week so this is great for me. I am also sleeping better - still up in the nightonce or twice but I get back to sleep quickly - most of the time. Still have the occasional not so good night." Maggie Pascoe France wrote: "I bought a "Brodtens" bracelet to help my mother (90 years young !) with her arthritic pains - she has benefitted greatly from the bracelet, reducing her painkillers by at least half as a result. A good passive way to approach pain ! Thank you for the chance to be able to help - without invasive medication!" Rosemary Ray. France wrote: "Hi, I can highly recommend this product ! In two ways - my horses and a friend. For my horses I used the leg wraps after a 1 off attack for laminitis on my beloved mare, it helped get things going a bit quicker and I still use them on her if she is looking a bit stiff. I also have a rescue pony who was badly treated and has left her front legs deformed, so along with care, natural products and the BrodPod leg wraps she is walking with much more confidence and also is a much happier lady. The other recommendation is by a French man I recommended the BrodTeNS bracelet to for the pain in his knees who was very sceptical and not happy to buy unless he tried it! He did, and now he swears by it and tells all his French neighbours and friends as if he invented it and his idea!" Jennie Pitman wrote: "Have to say the BrodTens bracelet is amazing - I was finding it very hard to plait my horse as my fingers would lock at the crucial moment of finishing stitching each plait. I now have no problems and mobility in my fingers is so much better. Also, I had only been wearing the bracelet for a short period of time and went and had my annual blood pressure test; to my amazement my blood pressure was much better and they have asked me to go and have another test next month and if it is still good, they are talking about reducing my medication!!" Samantha Henry wrote: "I just want to let you know that I purchased one of your Brodtens wrist bands, and I've had it for 60 days now and I would like to say what a difference it has made to my life. I used to suffer with lots of back pain, and also have bad knees, hips and ankles. And three years ago I had a nasty horse riding fall and did ligament, tendon and muscle damage in my ribs and back. I used to have deep heat patches stuck to me all the time just so I could keep moving. Well it's been two months and I haven't used a deep heat patch! I still get slight pains but nothing as bad as what I used to get. I am able to ride my horses much more effectively and I now have hope that I will be able to compete for years to come. Oh I should say I am only 21 years old and three months ago I was seriously worried about where I would be in 10years time. You have given me a new life - I can be the young 21 year old that can compete and go out that night without my muscles seizing. Thank you!" Jennifer Stevens wrote: "I thought it was time to let you know that since buying my first Brodpod about two months ago, I seem to be sleeping a lot better these days. When you have fibromyalgia, getting some decent sleep helps alleviate all the other symptoms too. Thank you." Claire Wharton and (on behalf of) Ray wrote: "Having met these guys several times at various horse trials I decided to purchase a Brodtens leather bracelet for my father. At 86 he had many general aches and pains but had also been diagnosed with arthritis. Despite his age he was a keen walker but pains in his feet and knees were beginning to affect his ability especially when walking downhill or attempting stairs. The real deciding factor was when the arthritis spread to his right elbow affecting his drinking arm! Although slightly sceptical Dad was prepared to try anything (he's never been one for popping pills) so I purchased a discreet brown leather bracelet so that it looked a bit like a watch strap. He has worn it every day since and the benefits have been remarkable. If ever he doubted its power, he accidentally left the bracelet off after showering one morning and was quickly reminded when out walking. The top of his foot began to ache followed by a nagging pain in his thumb and finger. Last weekend I was under strict instructions to purchase a set of replacement electrodes (which I forgot to do!) so whilst looking up your contact details to order on line, I decided to say a big thank you on behalf of my Dad who these days, can now lift a pint with ease!" Louise H wrote: "Since wearing my BrodTeNS after just 2 weeks my joints stopped locking in the night which was amazing. I was slightly sceptical at first but figured it was worth a go - not everything out there lives up to the claims! but I am very impressed. I also suffer from endometriosis and have been putting off having to have a hysterectomy, since wearing the BrodTeNS I have hardly any TOTM pain too. It's a win win for me! Many thanks and kind regards." Mrs D Sharman wrote: "Thank you, cannot believe the difference BrodTeNS has made. I have to say I was a sceptic, but having had fibromyalgia/CFS for years and at an all time low with pain I decided to give it a go. I've haven't taken my Pregabalin for the last 5 days and I feel fine. Normally just missing one dose would leave me in agony and especially so at a time like this when I should be extremely stressed (uni assignment due in, work hectic and I've just lost my dog) and therefore my symptoms usually go haywire. I actually feel WELL for the first time in years. My brain fog has cleared up, I have more energy and the pain, although still there, is minimal. Its early days yet, but long may it continue!" M Hunt wrote: "I'm definitely seeing benefits from the BrodTeNS wristband and feel converted after my initial scepticism. I suffer from ulcerative colitis and though it won't cure this it has helped me to cope with the pain and fatigue I was suffering from as a side effect. After my first full day of wearing the band, I slept soundly for the first time in about 10 years! It’s worth the money just for that. I still don't know how it works but for me the BrodTeNS has certainly helped. Thanks again." Penny Jupp wrote: "Just thought I'd say thanks for what the Brodpod's done for me - I've only had it a week, but I've gone from limping pretty badly (thanks to chondromalacia patellae) to being able to cope with walking the four-mile round trip to college with only a few minor twinges, and my knees seem to be continuing to improve. I doubt I'll be running for a while, but even the improvement I've had so far has made such a huge difference. Thanks again." Jan Thurlow wrote: "I have suffered with M.E. for three and a half years and have tried many treatments but none had been successful. After wearing the BrodTens for about month I found renewed energy and was able to do things I had hitherto not been able to undertake. The aches in my limbs lessened and the sore throats and glands started to improve. I still have a way to go before I can say I am well but I have improved a great deal and life is again worth living. My thanks to BrodTens. Terry from France wrote: "I play golf and I was finding it painful and very difficult to grip hold of the clubs and play, due to the arthritis in my left hand and my frozen left shoulder. I bought a BrodTeNS bracelet in May 2012 and I have been wearing it for the last 8 months. Even after a short time I found that I wasn't troubled by any pain from my hand and my swing improved immensely when I had the full range of movement back in my arm and shoulder. I can now enjoy my golf once more. I know that this improvement is due to the BrodTeNS bracelet as I left it off for a few days last week - I soon put it back on again as the pain returned. It certainly works for me." Nicole wrote: "I had a motorbike accident over 2 years ago, I badly damaged my wrist, neck, foot and my knees have caused problems since my arches collapsed over 10 years ago. Since wearing the Brodtens bracelet the pain has reduced substantially, almost back to my normal healthy pain free self, even in my foot. Thank you so much, I didn't think this was possible after so many years of constant pain. The BrodTens is AMAZING!! I have given my recommendation of this product to numerous people who also suffer from various medical conditions, aches and pains. Thank you again. This product is money well spent!!" Fred Dwight wrote: "I am always very sceptical about wearing bands that are supposed to do good, but I must say I have being wearing the BrodTeNS since you fitted it 3 weeks ago and have no Cramps at night in the bed (which I have suffered with for at least 6 months). Also I have experienced hardly any pain in my right knee which I have had to put up with for a numbers of years, since an operation to remove most of the knee-cap. The surgeon had told me that I would probably suffer with osteo-arthritis in the future. Thank you." Mrs V Wade-Henderson wrote: "I have had Fibromyalgia for the past 20 years and have spent the past 9 months on sick leave with FM and Chronic Fatigue burnout. Sadly I have now also been diagnosed with Osteoarthritis as well. I decided to give BrodTens a try a few months ago as I was struggling with pain and fatigue. I had seen BrodTens mentioned in a Forum of which I am a member. Having then read their description of the product on the website, and also noticed the all important guarantee if the product was not successful, I had no hesitation in placing an order. I am pleased to say that I have not had to return mine! On the contrary, I had to spend a few days without wearing the bracelet and soon noticed the difference. I have also noticed that my energy levels have risen and I am able to spend more time enjoying myself. I have been recommending BrodTens to friends and family and to others and would recommend to anyone looking for proof in the Testimonials. I must also comment on the company itself. They are extremely professional and are passionate about their product, eager to help and advise their clients. BrodTens come highly recommended and I would not be without mine." Maureen Jones wrote: "I have had the Brodtens for 3 to 4 months. It has made such a difference, as you know I have severe arthritis since 1996. As I have got older it has got worse. But since using BrodTeNS it has made a lot of difference, although I am not pain free a big part of the pain has gone. I thought it was my imagination so I took off the BrodTeNS, but after 3 days I was practically unable to function and had to start wearing it again. I wouldn't be without it now it has made such a difference. Also my blood pressure which originally was 160 / 98 has come down every month and on Tuesday was 120 / 60 unbelievable! My doctor has taken me off the tablets. I was on Nisisco 160mg + 25mg, and has put me on 5mg of Ramipril. I have been taking these tablets for over 4 years with no reduction in blood pressure at all. Thyroid has gone down from 5.48 to 1.6...it was at that level for 14 years. I would highly recommend BrodTeNS to anyone. If it works for me it will work for anyone. I don't think anyone was more sceptical but proof of the pudding is in the eating as they say. PS: I was admitted to hospital in 1998 due to the severity of my arthritis. Upon taking my BP on admission they were horrified at how high this was and could not understand why I had not gone in to Cardiac arrest and throughout my stay the crash team were on standby. As you can see from my testimonial since wearing the BrodTeNS my BP has not been this normal for years. Update: As we know high BP can and does cause strokes and heart attacks sometimes fatal. If the only benefit to using the BrodTeNS was to lower my blood pressure from dangerously high to normal and below for my age 68, then I would still buy it and I will be telling all the people I can about this wonderful product. I pray that anyone reading this who has or knows someone who has high BP to go and order the BrodTeNS immediately it could save some one’s life. And the other good thing I am now off dangerous prescription drugs that have not lowered the BP in all the time I have been taking them and instead have caused lots of really bad side effects. So keep up the good work Brodpod and please feel free to update and use all my testimony hoping lives will be saved." M.Peters wrote: "I have ME and fibromyalgia and have recently purchased a BrodTens bracelet. The bracelet has enabled me to reduce my pain medication significantly and I'm thrilled to bits with the results, especially as I have previously tried other magnetic bracelets that have had little effect." Michelle Lowe wrote: "I have been wearing the BrodTENS now for nearly a year and wouldn't be without it! I hadn't realised how effective it was until I accidently left it off for a few days. Within no time at all my aches were back and my sleep pattern became broken again. I have now ordered the leg wraps for my horses and the Brodpod K9 for my dog." Mme Pagece wrote: "A very heavy large cast iron fire-back fell over onto my big toe. I was very shocked when it happened and the colour drained from my face, although I didn't actually faint. I wore my BrodTeNs night and day to help the healing process. I took Ibuprofen for a day or so but I then realised that I didn't actually feel much pain. It was just uncomfortable and very inconvenient as I wanted to rest it as much as possible to allow it to heal. At this point I didn't know if I had broken my toe or not but thought it was unlikely as I was able to bend and flex my foot and toes. This was confirmed by the pharmacien a few days later. Four days later I drove to my Pilates class as usual and was able to do nearly all the exercises. The following week, I was doing all the different exercises, including standing whilst leaning forwards with weight on my toes. I'm amazed at how quickly the pain subsided and in fact after only 2 weeks nearly all the bruising had gone. I'm convinced that this was due to wearing my BrodTeNs. Mrs. Ann Fraiser wrote: "I purchased my Brodtens 6 weeks ago. I have suffered with severe Reynaud's in my fingers for the last 20 years. My hands went white then dead for about an hour then when they started to come back to life the pins & needles were very painful. Being out in a cold wind or putting my hands in a freezer brought on an attack. After just 2 days of wearing the bracelet I noticed a change in my hands. Since then I have only had 1 bad attack (instead of 7-14 a week) & that was only 1 finger & it warmed up within 20 minutes. I have also noticed the difference in my toes which were always cold. I have certainly found my miracle cure for my Reynaud's." Maureen from Charente, France wrote: "I have been meaning to write to you for a day or two actually to tell you that I am sure the Brodtens bracelet is doing good. I began to feel my feet again after 24 hours of wearing the bracelet and now, just to test them (!) I have been perching on my toes and can definitely feel my toes are more alive - hope that doesn't sound silly! Also, the scars after the two operations on my nose are healing up incredibly quickly which I am sure must be to do with better circulation. When my fingers get cold, they (touch wood) do not go white and numb - or perhaps the weather hasn't been cold enough yet." Arabella Bealby wrote: "I bought a BrodTeNS silicone bracelet at Weston Park Horse Trials last weekend. I am so amazed. Truthfully, I didn't think it would make much difference, but the relief I have got from my chronic arthritis in my thumbs, is huge. I am waiting to see if it helps with my acute Raynauds." Ms. C Saraff wrote: "I have to say that i was very impressed by the claims made on your website regarding the health benefits, but nothing prepared me for the difference the BrodTens made to increased mobility in the dogs and especially my husband, who after 9 knee operations had almost given up hope of being able to live without pain! Since then, we have been recommending the BrodTens to many of our friends and family as we feel that is a genuine product that really works." Neil Paterson wrote: "I recently (July) purchased a brodtens wrist band at the horse show at Hutton in the Forest from yourselves. (I was the guy with the multiple motorcycle collision injuries). 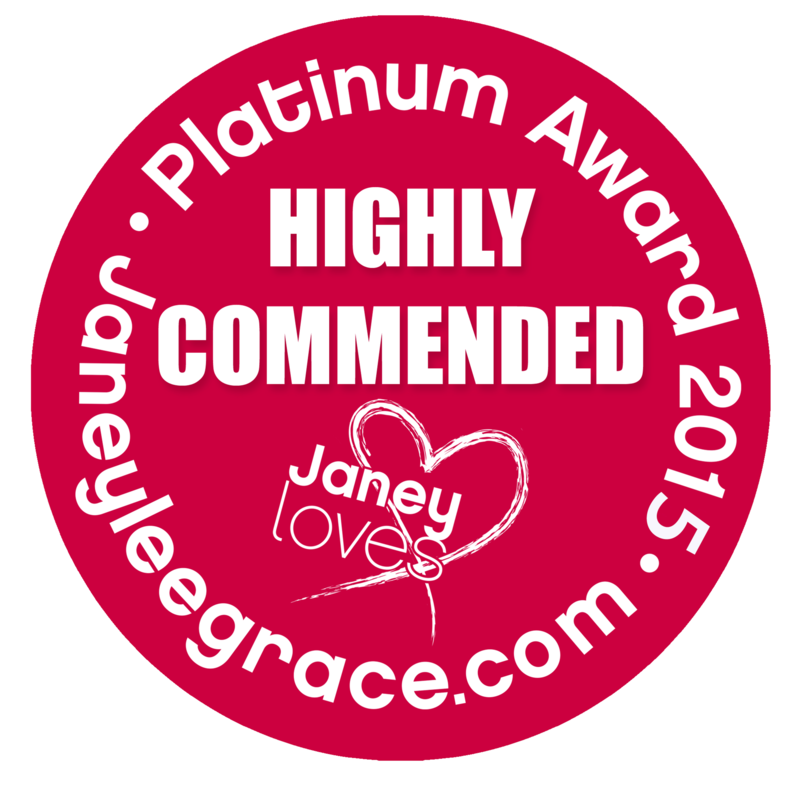 I must say after about 2 weeks I noticed a dramatic reduction in 'everyday' pain and discomfort - brilliant." Doris & Fred wrote: "Just to let you know how we're getting on with the Brod magnetic bracelets. Fred has had NO pain in his wrist since wearing it, so a wonderful result here. He was a bit sceptical you know, so I'm so pleased it has worked. My arthritic pain is better, particularly during the night, as I have already told you. However, I have had an unexpected bonus. I do all our painting, and even though we use low odour paint, I always have sinus problems when I paint, stuffy head, and dizziness. This can go on for a long time and I have to take a homeopathic remedy plus sometimes paracetamol. I painted in our bedroom for two days, and considering we sleep in that room as well, I have had NO sinus irritation, or headaches whatsoever. My head has never felt clearer! How good is that?" M.F. wrote: "Six months ago I purchased a BrodTeNS bracelet from you at the "Christmas Fayre" at Pencarrow, Bodmin. As I had it fitted by you at the time, I was quite amazed that as we looked around the stalls I could feel my wrist tingling and it felt very warm. I have osteoarthritis in my fingers on my right hand and it had been getting very painful to write and chopping vegetables was a real problem, I needed a bowl of hot water at the ready to plunge my hand into! Since I have worn my BrodTeNS I can now cut again and can close my hand up to make a fist, something I'd not been able to do for over a year, also the background ache I always had went away too. I had a lump on my left palm which was appearing to develop very quickly but has stopped in its tracks for the six months I've had the BrodTeNS on. I was sceptical but it’s the best thing I've bought for donkey’s years! Liza Rakovic wrote: "Just a short message to say how pleased I am with my Brodpod Tens. I have been plagued by an impinged shoulder for several years, making sleep on one side impossible, even codeine did not relieve the pain. Since wearing my Brodpod the pain has gone, it’s simply amazing." Jill Woodhouse wrote: "I cannot tell you what a difference the BrodTeNs has made to my life. I bought it about 2 months ago and very soon after I started wearing it, for the first time in about 30 odd years I was free of pain and actually managed to do 2 hours of gardening without the usual painful results afterwards. I am 72 now and have put up with Arthritis in just about every joint in my body for years and now have discovered that I have Osteoporosis in my spine and the BrodTeNs has been my salvation and given me hope that I will be able to contend with these two problems and continue to lead as near normal a life as possible. I am therefore more grateful than I can say to you for inventing such a wonderful thing. I show it to everyone and tell them how marvellous it is. I also showed it to my doctor when she asked me if I needed a repeat prescription for the masses of Paracetemol she had prescribed to cope with back pain and I said that I didn't need them, because I was not getting any pain and I think that she was somewhat surprised. I shall let my husband try it and I hope that it will help him. As far as asking the Doctor first, I appreciate it is the route I should take, but Doctors do not seem to understand alternative things, as I have found out over the years. However I will mention it to her next time I see her. Many, many thanks again for your help." Lady Graham wrote: I find the benefits are increased energy and decreased pain from back and hips. I am not able to wear the BrodTeNS at night as it seems to make me too wakeful". Brian Wall wrote: "I have been using a Bioflow for the past three years and found it to be very good. However, despite using pain killers I have for some time now been in pain with my right hip, (which is soon to be replaced). Two weeks ago, I purchased a Brodpod and have been amazed at the result. During a circuit training session which involved a short run, I suddenly found the pain had gone and I was able to run with ease. It is still a little uncomfortable at times, but nothing compared to how it was. Two friends of mine who attend my circuit training class have also had remarkable results. One who has suffered for some time with tennis elbow, found that within a very short period the pain had completely gone; and the other, who had pain in his right shoulder, found it difficult to lift weights above his head, is now lifting heavier weights than before. Thank you for a remarkable product." K Merricksy wrote: "I'm back for my second Brodpod. Just wanted to let you know the other ones been great, its hardly been off, only for a bath since. It's been fantastic, for the first time in years I've had a period without any pain or pain killers, it’s changed how I feel completely. Thank you so much." A.Mallalieud wrote: "As I told you it has been an absolute miracle cure for me and has worked wonders with the movement of my shoulder and hip in such a short time." Sue Berry wrote: "Have to say, I was a little sceptical whether the Brodpod bracelet would work but decided to go ahead and try after speaking to a friend who has a similar type. Surprisingly, it does seem to be working as the pain in my hands has lessened considerably so I'm well chuffed! I'm still amazed that something so simple can have such a positive effect on pain; far better than having to take pills!" Stephen Watson wrote: "Migraine has been a common occurrence for me since the age of 12. This year I have regularly suffered from an attack once per week, requiring prescribed drugs every week (which often make me fell physically drained). Since wearing my Brodpod I have had one attack of migraine (after the first few days following purchase) but none since, which has now been five weeks. Nothing has changed in my life apart from wearing Brodpod. As you may understand I am delighted with my decision to buy the Brodpod from you and I would urge anyone suffering Migraine not to hesitate, give it a try." Damien Coates of www.dc-fitness.co.uk wrote: "I run my own fitness & personal training business and as you can imagine I am constantly on the go and work very long days, mostly 7 days a week. I suffered from headaches, fatigue and occasional stress! During one of our training sessions Susan recommended I try wearing a Brodpod. I was very sceptical at first, but I gave it a try. I can honestly say that after wearing a Brodpod for over 3 months now, I can't remember the last time I had a headache. Definitely worth it." Coral wrote: "My husband, who is now in his 70s, has worn a copper bracelet for years, which he swears has really helped relieve his aches and pains. Recently I suffered a problem with my shoulder, was in considerable pain and couldn't lift my arm. I borrowed Bert's copper bracelet and felt some relief but knew my friend sold a range of magnetic bracelets. I bought one for Bert's birthday, a Brodpod, which he has found to be a great help. I borrowed it from him for my shoulder problem and the pain in my arm was immediately relieved and the movement improved. Bert said he would buy one for me so I actually chose one from the Bioflow range, however, this seemed to exacerbate the problem and kept me awake, so I changed it for one like Bert's and now I am virtually pain free and my shoulder movement is rapidly improving. Thank you Brodpod." David Endacott wrote: "The Brodpod I got last week at Newton market is fantastic. I've had numb hands and arms for 3yrs due to drilling underground in tunnels. 80 percent of it stopped within 72 hours, I owe you one." Judith wrote: "We saw your stand at a garden show and decided to buy a BrodTeNS for my husband. He has got a total knee replacement and is just recovering from breaking his leg above the knee. He has been in terrific pain since the operation to repair the fracture and taking an assortment of painkillers to try and ease the pain. Although the kit was a bit expensive we were impressed by the fact that we could return it if it didn't work. After a couple of days wearing the bracelet he started to feel dizzy and sick, we were warned of this possibility so he persevered and just got better and better. He has reduced his painkillers and is sleeping a lot better. He still has a little pain but it is bearable and he can now walk a fair distance without a crutch although he still has a slight limp. After three weeks I stole the bracelet from him to try for myself, after a couple of dizzy days I woke one morning and felt so full of energy and awake. I usually struggle to stay awake all day and have pains in my hands and feet from peripheral neuropathy. I still had slight pains but nowhere near as bad as it was. I have now ordered another bracelet for myself and have told all my friends about the 'magic bracelet'. 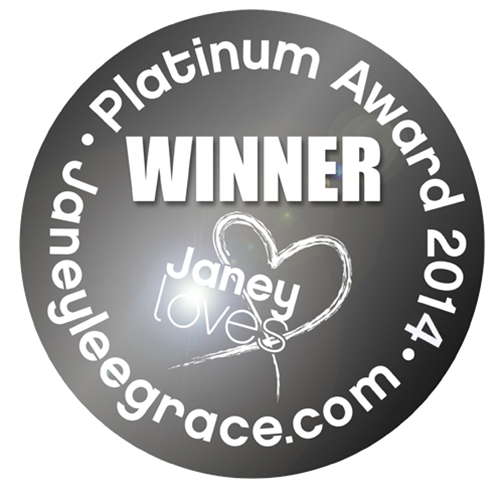 Thank you so much for making our quality of life so much better and I cannot praise this product enough."